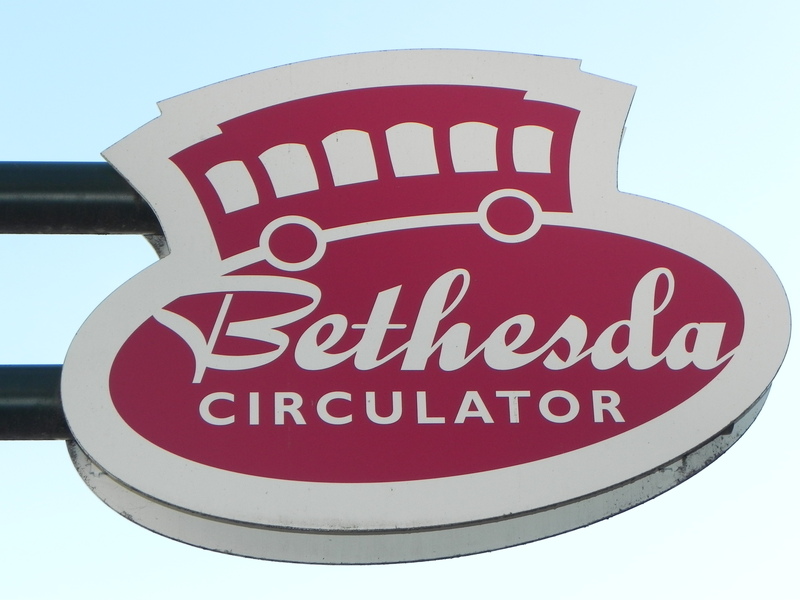 Bethesda 365 » Day 9: You got me going in circles . . This entry was posted on Sunday, January 9th, 2011 at 8:00 am and is filed under Kid's Stuff, Transportation. You can follow any responses to this entry through the RSS 2.0 feed. You can leave a response, or trackback from your own site. 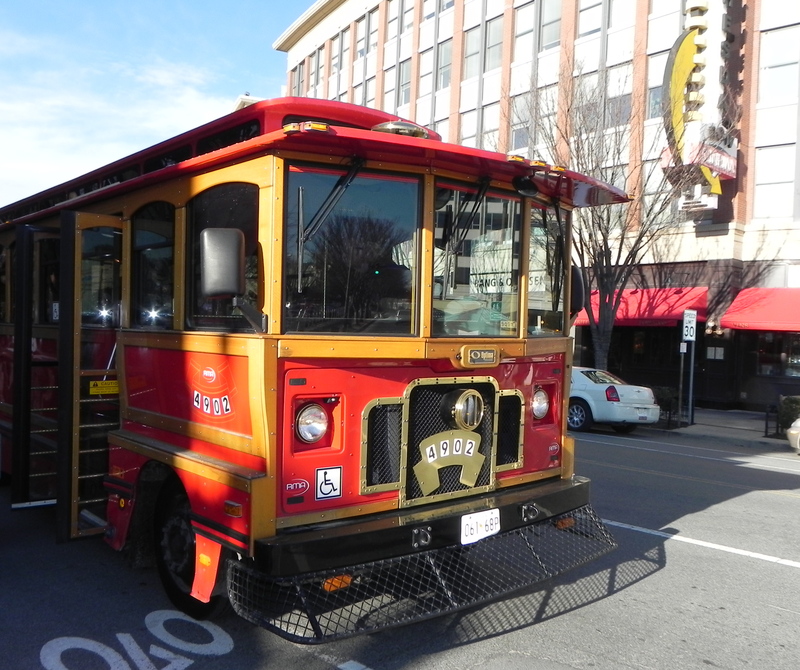 Too bad the Circulator does not run on Sunday, the day of this post! Whoops! Bethesda has two of the shortest streets in the county. Miller Avenue is a block long and has 2-3 businesses. 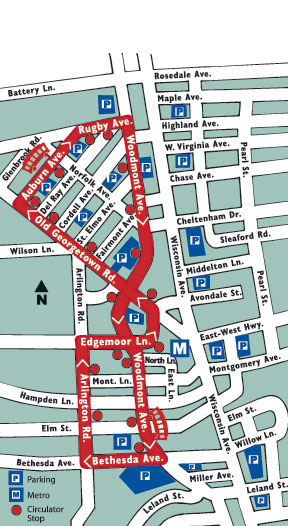 Even shorter is Reed Street, so short it’s not even on your map. It’s that 50-foot piece of road across from Barnes & Noble connecting Woodmont Avenue to a very small parking area in front of the Landmark Bethesda Row Cinemas. Since that area will be the terminus of whatever mass transit line is selected to connect Bethesda with Silver Spring, Reed Street may then be wiped out. Let’s enjoy it while we can!